Several robust Email Listing & Preview Options: Conversation, Hex, MIME, etc. Along with MS Outlook Forensics, the tool can Perform Forensics of 14 Other Email Application Also. Find Option:-To automatically locate the PST file from local storage. When the search process completes then the email with given keywords get listed. There option available to save the search result for further reference. Microsoft Outlook is an email client used to send and receive emails. Apart from email system it also includes a calendar, task manager, contact manager, note taking, journal and web browsing.MS Outlook Stores all of its data in files or folder and these files are stored in files storage system termed as Personal Storage table or PST. These files are stored on local storage when you are using the desktop-based outlook application configured using POP3 settings.The PST file includes the entire user profile data such as collection of email message exchanged using the outlook account with their respective contacts, calendars entries, task etc. Why does MS Outlook Forensics? With the advancement in technology, there is the sudden change in the lifestyle of people who have more access to such kind extraordinary technology. Such people always tries to find the different ways “How can they utilize the technology to do crime” But they do not know that using the technology for crime left footprints if actually, the crime has done. Similarly, if someone uses the outlook to for same then it stores the emails and attachments in PST file. By analyzing you can easily be carved out the information from the pst file. PST forensic Tool is the perfect tool to renders the management of an assortment of PST file forensics cases. Examiners can create separate collections of multiple suspect PST files for examination. The analysis is made organized and faster with the provision to open a collection to traverse the emails stored within a PST. It is necessary to minutely study artifacts for retrieving evidence. 7+ views offered with this platform come in great use. Details of PST email like; hexadecimal structure, HTML layout, header info, email server path, etc., is expertly acquirable with the offered views that greatly assist in the further investigation. The procedure of looking for evidence in an assortment of indefinite emails is streamlined by the application via the search feature. The search feature offers general & regular expression based search type to look for information looked for in both emails & attachments using operators & criteria to detail the search. How to find out all PST files on a machine for analysis? "The machine on which we need to perform Outlook PST file forensics doesn't have the data file PST located at its default path. And there are several of them, how do we find them for investigation?" The application features a file detection option that offers the provision to detect Outlook PST file on the entire disk or a particular drive selected. Using this feature would prove suitable. Is there a way to list emails according to a particular date? "There are a bulk of emails in the PST file that has to be analyzed. But we have the requirement of detecting the emails exchanged between a specific dates. Is there any provision for the same?" Yes scanned Outlook emails are listed in their original order and with the exact attributes. Clicking on any attribute field name will arrange emails in an ascending/descending order, on the basis of the type of attribute. We have listed emails in a recursive order. How to find out its origin folder? "We listed the emails in a recursive order to avoid browsing each folder particularly. Now, that we have spotted a critical information storing email, it is difficult to make out which folder it belongs to, how to do it?" Click on Hierarchical View tab while the particular email is open. This will display the original folder structure to which the email belongs. How does the tool help extract email evidence in a legally representable manner? "Our investigation concluded with the finding of a number of emails proving to be great evidence. What kind of provision does the application have for producing them into a representable manner for litigation purposes without modifications?" Crucial evidence findings can be extracted into Adobe PDF format file using the application, owing to their legal acceptance to make emails representable during litigation in their true form. No matter how much techniques we are equipped with, an investigation requires applications to simplify & fasten the process. And this PST File Forensics Tool did make it a lot convenient as well as organized for team to spot evidence worthy emails during Outlook email forensics done on a bulk of files. Microsoft Outlook email forensics was my first real-time investigation project I had been assigned with. 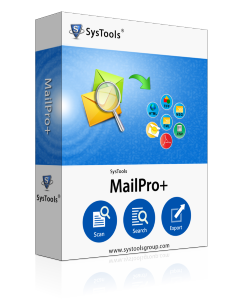 Usage of this application during Outlook email forensics proved majorly helpful as searches, management, spotting, listing, and analysis within multiple PST files was just a matter of few clicks.